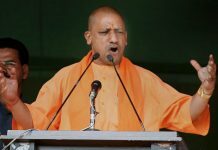 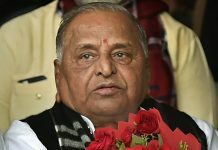 The Uttar Pradesh CM remarked that those who didn't believe in Lord Ram and Krishna, were taking refuge in Bajrangbali. 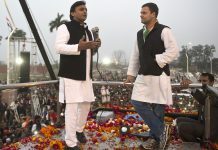 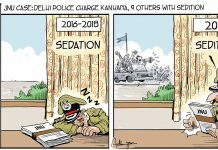 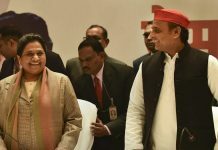 The Congress strategy seems to be aimed not so much at defeating the BJP as denying the SP-BSP alliance a victory in Uttar Pradesh. 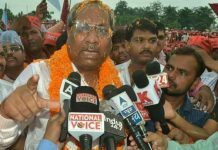 The Nishad Party chief, whose son had won on a SP ticket in Gorapkhpur bypolls, says the party withdrew over seat-sharing and is now in talks with BJP. 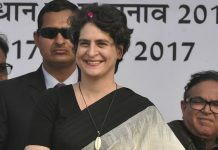 Priyanka could energise Congress cadres, but can she take on the might of a united SP-BSP alliance? 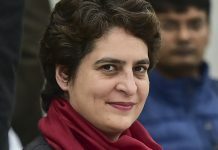 Congress strategists believe Priyanka Vadra will help the party transcend caste divides in Uttar Pradesh, and replicate its 2009 performance. 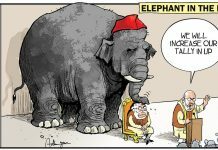 Pre-Truth — snappy, witty and significant snippets from the world of politics and government.